Cameron looks forward to every school day. 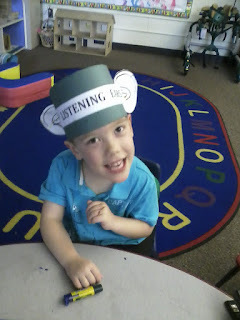 He has an opportunity to see his friends, work on activities and enjoy playtime. 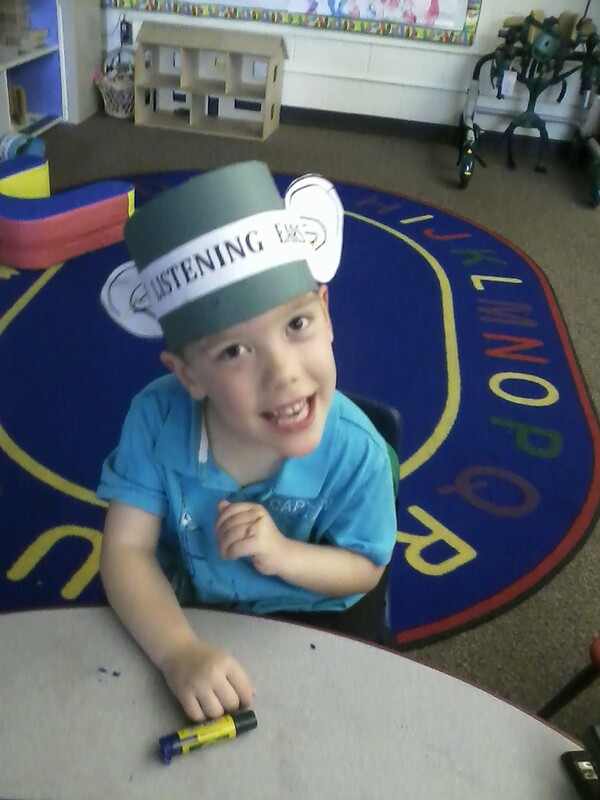 Chris and Jane are always proud of their son and seeing his "listening ears" used at school certainly does make a parent smile! Sometimes, Cam even has some homework to do such as this gluing and creative project that he completed at his house and brought back to school. One of those is decorating cookies! Grandma ("Oma") brought the ingredients to make homemade frosting and Cam was very eager to help. He was very careful to first put the yummy green concoction on top of the cookie before adding the delicious sprinkles. As everyone knows, the art of decorating requires very careful taste-testing and Cam is one kid who never passes up a tasting opportunity!